I've been having a lot of fun with blogging. Slowly I am learning more and more everyday. I do still need to learn more about the blog site to make it fresh and more me. But putting that aside I am loving having a blog. I'm very interested in Product Reviews, since I've always loved trying new things and letting family and friends know how I like or don't like them. This way I can tell the world! 1. 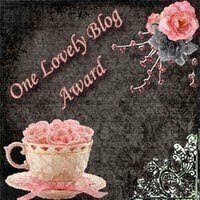 Accept the award and post it on your blog along with the name and blog link of the person granting you this award. 2. Pay it forward to 15 other bloggers you have recently discovered. 3. Contact the bloggers and let them know they've been chosen. I will add more Great blogs very soon! Thanks so much ! Sorry for the delay in responding.. I am down with flu and still recovering.